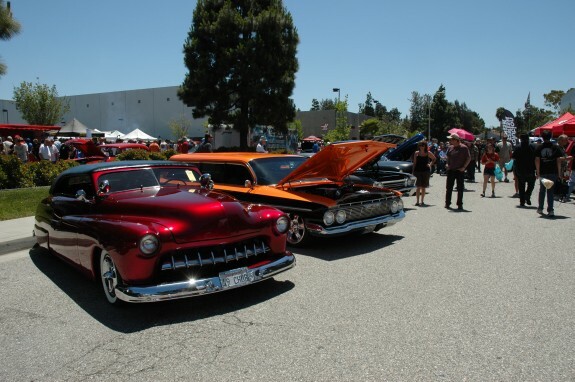 TORRANCE, CA (April 3, 2012) – Edelbrock is excited to host the Rev’ved Up 4 Kids Charity fundraising event from May 5th through May 6th. This year’s event promises to have something for everybody, especially people with a passion for the automotive and aftermarket industry! This charity fundraising event benefits The Center For Learning Unlimited; a private educational institution that provides comprehensive education to students with complex learning disabilities. The weekend’s festivities will begin with a shop tour of Edelbrock’s corporate headquarters and manufacturing facilities in Torrance, CA. This will be your chance to take a one of a kind guided tour through Edelbrock’s facilities and see what 74 years of dedication to performance products has built. Each tour will include a complete overview of everything from R&D to finished product manufacturing. This is a unique chance for automotive enthusiasts to get a sneak peek into what it takes to design and manufacture high-quality performance products. The shop tours will take place on Saturday May 5th from 12:00 p.m. to 4:00 p.m. and are free to the public. Next on the weekends list of activities is the Legendary “Back To Where It All Began” party on Saturday May 5th at 5:00 p.m. in Vic’s Garage. This party will bring together legends of the aftermarket industry for an exciting night of story telling from legends including Vic Edelbrock, Ed Iskenderian, Gene Winfield, Alex Xydias, Parnelli Jones, George Follmer, George Barris, Sam Foose, Andy Brizio, Louie Senter, Ed Pink, Dave McClelland, Done Preito and hosted by Motor Trend radio host Alan Taylor. An autograph session will follow, giving party participants a chance to speak with the legends one on one. The evening will also include a silent auction along with great food and drinks. The cost for admission to the party will be $75.00 per person and is tax deductible – limited seating is available. Finally, on Sunday May 6th the 7th Annual Rev’ved Up 4 Kids Car Show will take place at Vic’s Garage. Participants are invited to come out and enjoy a day of hot rods, great food, live entertainment and an all around good time. 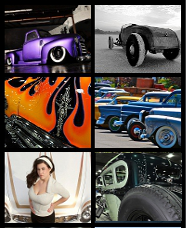 All makes and models are welcome and interested participants can pre-register online at www.revvedup4kids.com. Standard registration is available from now until April 27th and costs $35.00 per vehicle. Day of show registration will also be available and will cost $40.00 per vehicle. A limited number of VIP spaces are also available for a $75.00 entry fee per vehicle. Show hours are 10:00 a.m. to 4:00 p.m. Spectator entry is free, however, The Center for Learning Unlimited will be accepting donations. This year’s show will feature live entertainment from MEGG Music, Shari Puorto and Scot Bruce as “Elvis.” There will also be live broadcasts from “The Motorman” Leon Kaplan of KABC and Dennis Pittsenbarger of Hot Rod Radio LIVE. A Kid’s Corner will be available with fun crafts and activities for children of all ages. 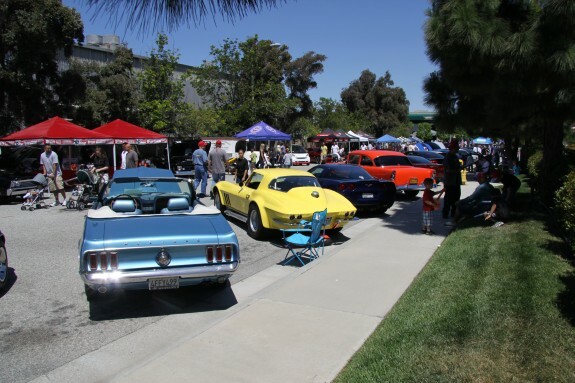 New for this year, the KABC Clean Air Car Show. 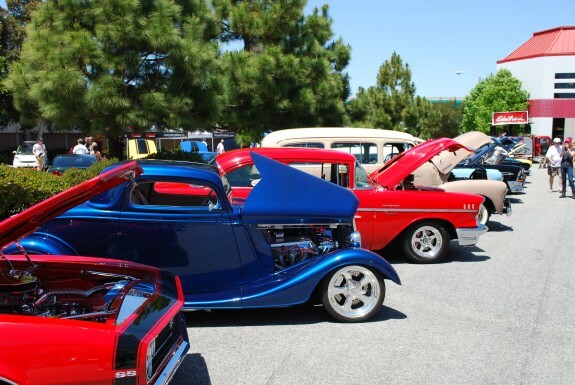 The Clean Air Car Show gives consumers the opportunity to ride and drive some of the latest hybrid vehicles on the market today. Additionally, there will be a vendor midway showcasing products from your favorite manufacturers. Once again, the car show will host the 4th annual Hot Rodders of Tomorrow Engine Challenge Regional competition. Local high school students will compete in a high-energy engine building competition. The top teams from each region will earn their spot to compete at the National Finals in Las Vegas at the “Showdown at SEMA” in early November. The top teams are honored with scholarships from Ohio Technical College, University of Northwestern Ohio and the School of Automotive Machinists.